The NYC’s Mayor’s Office of MWBEs chose Adrienne Nicole Productions (ANP) to be one of 7 businesses featured in its 2018 minority/women owned business campaign. Mayor Bill de Blasio has charged the City of New York to award $16 billion in MWBE contracts by 2025. Nicole?s image can be seen on NYC subways, bus shelters and on TV (https://youtu.be/iX3XCxzv7ak) across the City. Throughout her 15-year television and digital career, Nicole has been nominated for an Emmy, won a Communicator Award and has been recognized for telling genuine and thought provoking stories. 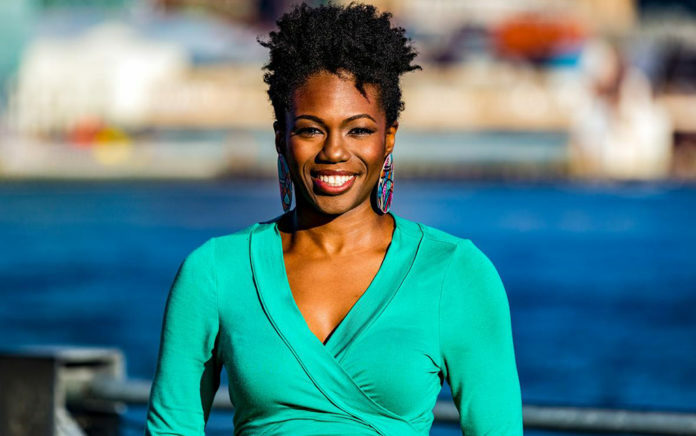 Her work with the City includes producing video content and photography for NYC Emergency Management, the Commission on Human Rights, the Department of Consumer Affairs and several other agencies. Her producing career started in news, and shifted to producing entertainment and lifestyle content for several major cable networks. While in her last full-time position, stress on the job and at home triggered her first Lupus flare. After getting this life changing diagnosis, she was faced with making a major career decision. Nicole chose a better quality of life over her 9 to 5, but instead of giving up her craft, she pivoted and started her own business. “I created a path where I could fulfill my passion for producing accurate and relatable video content for minorities and women, and manage my health at the same time,” she shares. New York City and New York are consistent clients, but Adrienne has also produced video content for Walmart, Ford, MTV and a host of other brands and networks. She is honored to be the face of the NYC Mayor’s Office of MWBEs Campaign and encourages any company owner, who qualifies, to get certified. Her company, ANP, is an award winning video production company specializing in producing genuine and believable stories for healthcare, social media, government agencies, and the multicultural market. ANP shoots, edits, produces, directs, creates motion graphics, animation, and more. The Mayor’s Office is also credited with an initiative to fund the virtual reality space. ?